You will feel fantastic after this relaxing pampering massage that works wonders. Relax, re-energise, and rejuvenate. Whether you are after a Massage, Facial, Sensory Experience, Spa experience, or a Mind & Body Balance, we can help! Have a look at our menu below. A relaxing, healing massage designed to reduce pain and tension, realign the body, unblock energy channels with aromatherapy to balance the body and mind. A warming comforting massage using heated stones to massage away the troubles and tensions of a busy life. This is a deeply relaxing experience which incorporates balancing chakra stones to restore energy and equilibrium. A nurturing massage tailored to suit the needs of different trimesters of pregnancy. Special positioning and pillows are used. Based on the Indian Head Massage you will receive a comprehensive scalp massage with acupressure points, facial massage and neck, arms and hands. Foot spa followed by reflexology which incorporates stimulation of reflex points in the feet to bring balance to the body. DELUXE FACIAL: Sixty minutes of luxurious treatment with ‘Skin Deep’ products which contain active Manuka honey to rejuvenate beautiful skin. Includes hands/foot massage. Revitalise body and soul with a day spa experience. Slip into a warm robe and begin with a foot soak and scrub before luxuriating in the hot spa. 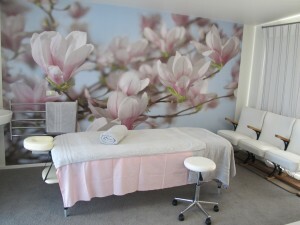 Then return to the massage room for a full body massage and deluxe facial. A foot tidy, massage and reflexology complete the ritual. You then enjoy a freshly prepared, healthy lunch or afternoon tea with refreshing juice or herbal tea or coffee. c) BACK EXFOLIATION & MASK: Scrub and hydrating mask for a smooth beautiful back. ADD $30. A deeply relaxing and healing therapy received whilst resting fully clothed on the massage table. The therapist places the hands on or above the body to transfer energy to balance the energetic system using Reiki. Tranquil Therapy Gift Vouchers are a great way to treat a special someone, whether it’s for a Birthday, Mother’s Day, special occasion, or just to say “Thanks!”. Book your therapeutic treatment with Diane today, or browse our online shop. Get in Touch with Diane today to ask any questions or to book an appointment or to order a Gift Voucher. Don’t forget you can also buy gift vouchers online.